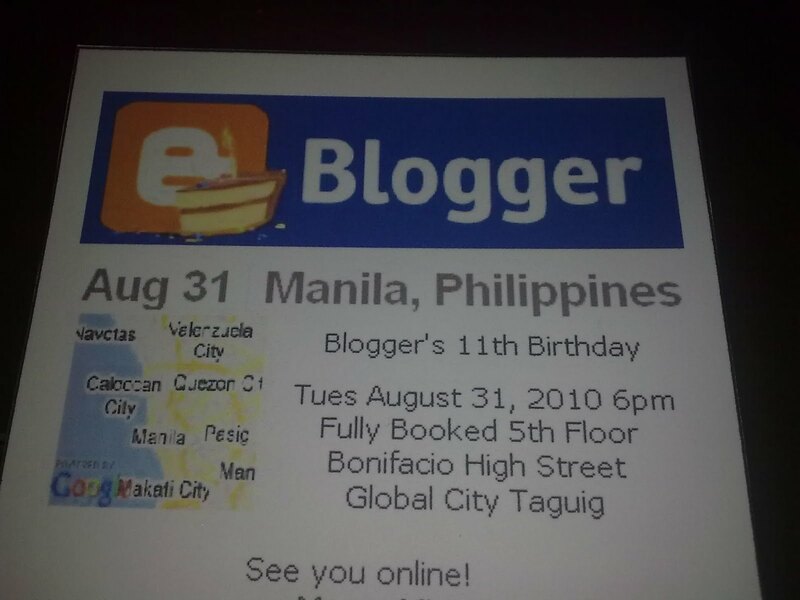 Blogger.com’s 11th Birthday was celebrated at the 5th Floor, Fully Booked, Bonifacio High Street by Manila Bloggers last night, August 31, 2010. 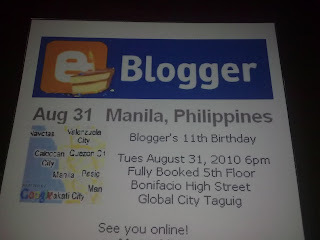 The event was filled with fun, prizes and tips from fellow bloggers who have made it big in their blogging endeavors. 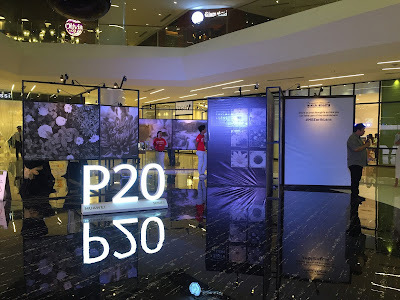 Aside from meeting fellow bloggers, the event served to network an array of interesting blogs, from entertainment to hobbies and almost everything and anything under the sun. It was the greatest opportunity to meet up people who made it possible for their blogs to gain more readers, businesses and even earn from writing. Three speakers were also present in sharing their knowledge about blogging and how they made their online journals popular. Jonel Uy of http://www.nomnomclub.com/ shares The Four Points of Blogging and how to improve your craft online and offline, Fritz Villafuerte of http://www.fritzvillafuerte.com/ tossed ideas on how to add readership to your blog and Jomar Hilario of http://www.jomarhilario.com/ taught us how to make money by blogging. 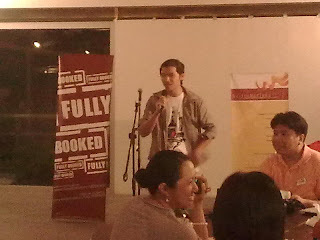 Blogger Fiesta was also supported by Krispy Kreme, Greenwich, Geiser Maclang Communications Inc. and Jollibee. 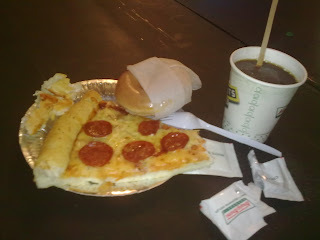 We feasted on 18-inch pizzas, glazed donuts, cheese burgers and coffee. Raffle was also drawn for the participants of the event. 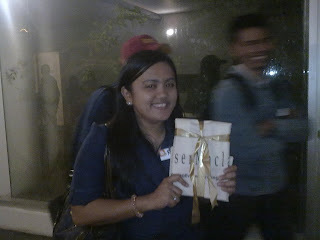 For the 50 early birds, loot bags were distributed to go home with. nice! I'm ynggit, i wasnt able to attend. maybe next time eh? Glad to see you guys having fun! isang masayang event nga ria! salamat sa kulitan! hehehe. un nga lang, mali ung link na nilagay mo sa name ko. 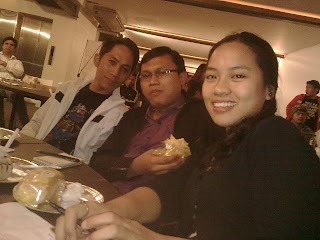 kulang ng blogspot. 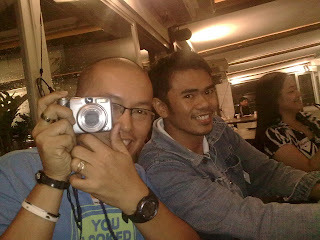 it should be www.elyvalendez.blogspot.com hahaha! By the way thanks! I am yet to post a blog entry about it. Pahiram ng pix ha, hehe. @Rhi: Okay lang yan. May next time naman.